When I got done with this card I noticed all my little mistakes, but it wouldn't be handmade if it was perfect would it? I really need to keep my fingers out of the ink pad lol. 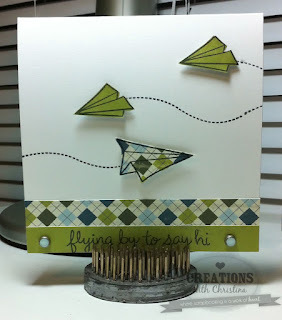 I loved,so simple and cute card!!! What a darling card. I can just picture your family flying those paper airplanes at a park. What fun! Totally love the card! 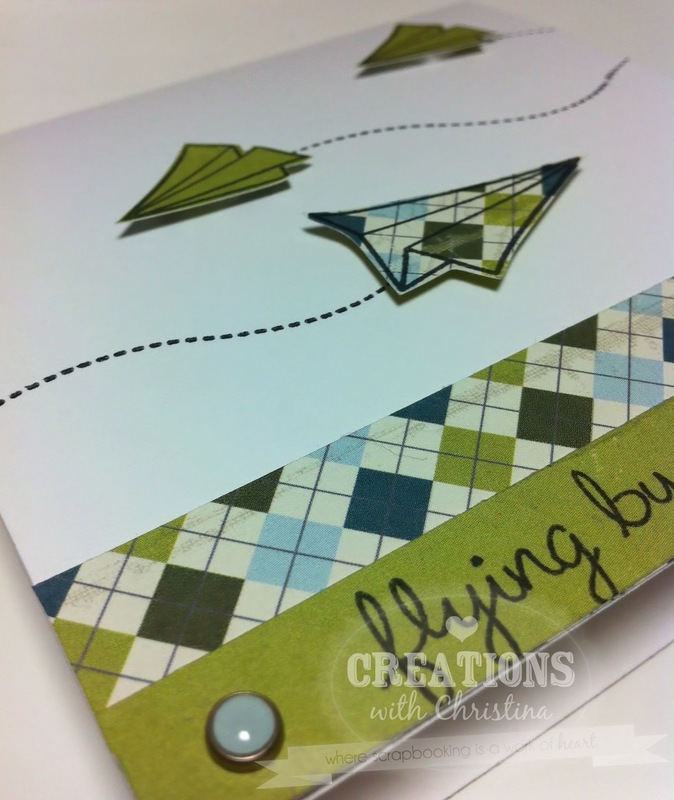 the paper airplanes are great! I love how this turned out. The paper airplanes are so cute. And thank you so much for your Stampin on Fridays, It's my favorite post of the week and I so look forward to your new creation. What a fun card! I especially like the color palette. This is a great card! I love Lawn Fawn stamps and this stamp set is the cutest! Love the papers you chose too, very nice.